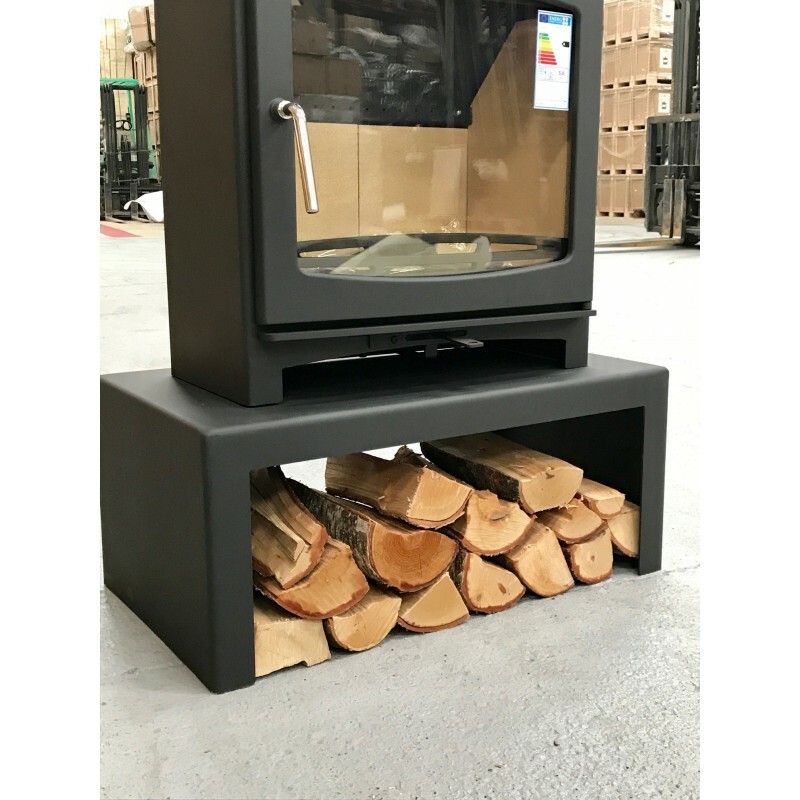 This heavy duty universal stove stand is dsigned to add extra presence to your wood burning stove, making it a more prominent feature in the room. A raised stove gives a better view of the stove at eye level, making the flames easier to see and more enjoyable to watch. Having your stove raised also makes the stove easier to operate by avoiding the constant need to bend down when re-fueling. The stand is very heavy duty and is strong enough to support all makes that could realistically be rested on it. Please check the dimensions of your stove to ensure it will fit on this stand. This is a common question we get asked and understand why people will sometimes wonder how it can be done so cheap. We design a large amount of our products through other branches of our company "Ecosy+" in this case and they come direct from our factory to us: this completely cuts out any middle men. 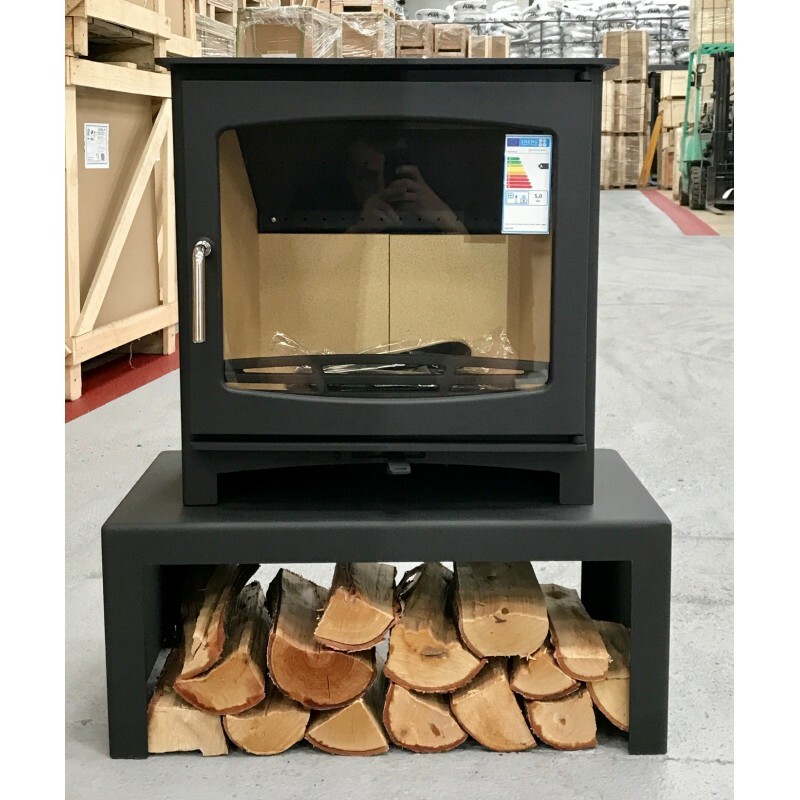 We can stock over 2,500 stoves at any one time and ship direct to the end user with no showrooms. We always suggest prospective buyers take a look at our glowing feedback that currently has over 7,000 positive comments on our stoves and stove products. Please note that this is the price for delivery of Universal Woodburning Stove Stand / Bench only. The final amount might change depending on the contents of your shopping bag when you check out.